​For most people, getting their teeth cleaned, their eyes checked or their annual physical is no big deal. But many don’t visit their audiologist for an annual hearing test. Our hearing keeps us connected to the people and things we love, and it’s just as important as our teeth and eyes, and should be checked regularly. What Is A Baseline Hearing Test? A baseline hearing test will tell your audiologist how well you hear now, and give the audiologist a starting point to assess whether your hearing changes over time. Getting a baseline test will make it easier to know when your hearing has changed, and by how much. The visit will include questions about your hearing, and a few simple hearing tests. What Questions Will You Be Asked? Do you have any difficulty hearing? Do you often ask people to repeat what they say, or turn up the volume on the TV? Are you exposed to loud sounds daily? Do your hear a ringing or buzzing in your hears? Do you sometimes feel dizzy or lose your balance? Do you have trouble following conversations in loud places? The audiologist will ask you about any medications you may be taking, because certain prescription and over-the-counter medications can cause changes in your hearing. 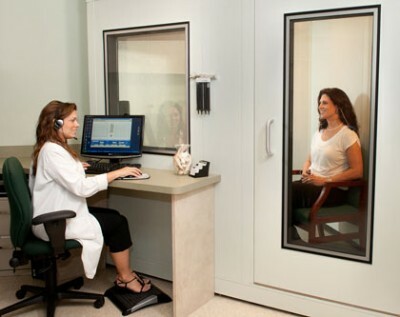 During the air conduction test you will sit in a quiet booth wearing headphones. Tones will be played into each ear of the headphone. You simply indicate when you hear a tone in each ear, and the audiologist will be able to determine the softest tones you can hear. In a bone conduction test, the tones are sent to a device that’s placed behind your ear instead of through headphones. These sounds go straight to the inner ear and bypass the outer and middle ear. Similar to the air conduction test, you indicate when you hear a tone. An audiogram is a graphic representation of how well you hear in each ear. The results of your test are plotted on an audiogram chart, which will be used at each future visit to see if your hearing has changed, how severe the hearing loss is, and what type of hearing loss you may have. A baseline hearing test is simple, painless and vitally important to maintaining your hearing health. Call your local audiologist today and make an appointment! Possible Cure for Hearing Loss? Deal Buying Hearing Aids Online?